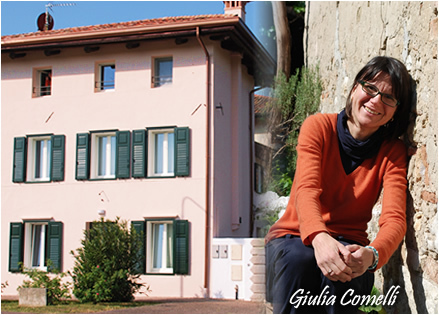 The Casa di Giulia, B&B recognised as being in the Superior category, welcomes you in one of the most characteristic places in Friuli Venezia Giulia, where ancient and illustrious memorials are united with a town of human scale and the pleasant countryside is lapped by the nearby lagoon. Our old family home has just been renovated. We have sought to marry the fascination of the dwelling that is still partly constructed with Roman stone – one stone carries the name “Iulia” and you can see it in one of the rooms – with modern comfort. The interiors are large, bright and functional - carefully furnished with antique and modern furniture. The bathrooms have showers and hydro-massage. Our beautiful garden that overlooks the decuman road of the ancient Roman city invites you with its chairs and sun umbrellas to have a restful stay.